Click your heels together three times, and then get out your magnifying glass to find Waldo — Red Card Bingo have sent Waldo to Oz for $10,000 of bingo online fun. This month, Waldo has found himself in the Emerald city and he’s lost all of his bingo bonuses. Can you help him find them? If so, you could be the winner of wonderful jewellery gems — imagine how great these will look glittering on your wrist. Join the gang for the Wizard of Oz game — it appears that Dorothy is not in Kansas anymore. Two teams need to go head-to-head around the bewildering board collecting bricks from the Yellow Brick Road. Every night, the team with most points will win a $100 bonus each. You’ll certainly be off somewhere over the rainbow if you win this. 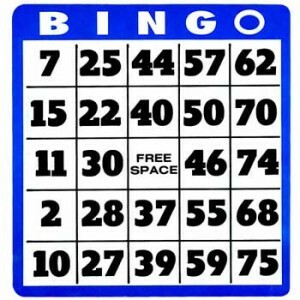 Don’t forget that Red Card Bingo is also home to the $10,000 jackpot coverall. Currently it stands at an amazing 45 numbers. And cheeky old Red Card Bingo will randomly increase the numbers taken to win it. So you never know what it’s going to be up to — you need to keep your eyes open for when the number is increased. This huge jackpot takes place daily at 2 PM EST, at least two times an hour in the Captain’s Quarters — snuggle up next to Capt James to be in with a chance of winning. So much great fun going on at Red Card Bingo at the moment — hurry and register now for your free bingo bonus, to meet Waldo, and to help Dorothy out of her predicament. And it can’t hurt to win a few dollars along the way.